Two things that do NOT mix. I’m currently on the fourth lesson module of my online driver’s ed course. It’s definitely taking a sharp turn (driving pun) from the previous, rather intense lessons I was taught in the last module, “Being Fit to Drive”. In my last driver’s ed diary entry , I talked about what I’ve learned about being in a healthy emotional state for driving. I described my own experiences being a teenaged driver, putting my safety first by always keeping myself focused and with a clear mind while driving. The 2nd half of the lesson touched on the sensitive topic that is drunk driving. This is something I’ve always been terribly afraid of–I’m sure almost everyone has. The first time I was ever exposed to the world of people who drive while under the influence, I was in a car with my older cousin, and he started to slow down in order to gain distance away from the car in front of us that was slightly swerving off the road every few seconds–my cousin said that he thought the driver might have been drinking. I’m thankful to be able to say honestly that I’ve never been in a car with a driver that was under the influence, and I’ll make sure to never let myself get into a situation where this might happen. While going through this lesson, I was hit with the unbelievable statistic that in 2007, there were 12,998 deaths alone just caused by a driver being under the influence of alcohol. That’s 32% of the total fatalities in the whole year! 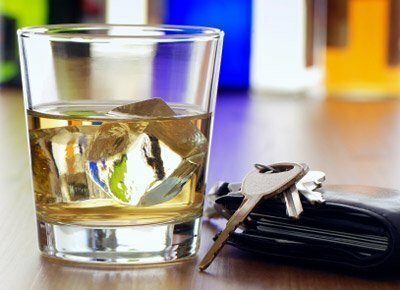 The phrase “drinking and driving don’t mix” is far from being a clichÃ©: it’s completely true and something that I believe should become a sort of mantra for anyone who is of age to drink and to drive. The last section of the lesson showed a short film called “Red Asphalt V”. This movie, though short, showed the very extreme consequences of people’s actions while driving, whether they be caused by aggressive driving, drunk driving, etc. With interviews with parents of children who passed in car accidents caused by driving under the influence and parents of children who did not see the outcomes that their aggressive driving might cause, it was eye-opening to how seriously driving must be taken at all times. The module I’m on now is “The Vehicle”. It is teaching me all I need to know about operating a car by being safe, and by being familiar with the vehicle and what it is capable of doing. It’s also teaching me everything I’ve ever wondered about the history of cars. Cars have definitely transformed since their initial invention–at first they just looked like strange, four-wheeled bicycles. Now they’re slick and cool-looking (which is probably a huge part of why I can’t wait to get my own!) I have also been learning about the effect cars and their fossil fuels have had on our environment. This is something I’m also learning in my astronomy class at school right now, so it’s perfect timing that I’m on this particular lesson of my course right now. The issue of climate change is one that I hold very close to my head and heart, as I know how serious it is for us, and for future generations of people. Though I am very much anticipating driving a car of my very own in the near future, I’ll be sure to stay cognizant of the effects it may have on the planet if I am driving excessively. I can hardly wait to get even further in my driver’s ed lessons, since I know that every day I recall information from the course, I’m preparing to become an even better and even more knowledgeable driver than before.